Check out our schedule by hitting the button below to see when our next workshop is! ​The Alaska Use of Force Laws workshop provides basic, accurate information about how Alaska law addresses the justifiable use of force for self-defense purposes. Legally justifiable use of force 2 hour: This class introduces Alaska law as it applies today. By addressing the justifiable use of force for self-defense purposes we help clarify those grey areas where questions exist. The law itself, its interpretation, its application in individual cases, and its numerous state-by-state variations, is not at all simple or straightforward. We present information and legal aspects of this issue in clear, user-friendly, format helping you to make informed and appropriate decisions regarding your “Use Of Force”. private corporations, government agencies, and law enforcement. This state-of- the-art shooting simulator is the closest thing you can get to reenact actual real-life conditions. It is the perfect training tool to sharpen your gun handling skills and challenge your decision-making skills under stress. Our simulator will test participants by applying life-like scenarios ranging from home invasions, street robberies, traffic stops, active shooter, domestic calls, hostage situations and more. In a single 60-minute training session our instructor will coach you through several of the hundreds of scenarios available. You will be provided valuable feedback and guidance to improve overall performance and decision making. Each session is specially tailored to the individual and the goals of that particular individual or business. Scenarios are selected based on several factors such as skill level, experience, practical knowledge of law, perceived biases or prejudice, personality type of the student, physical limitations, and the overall objective for the training. 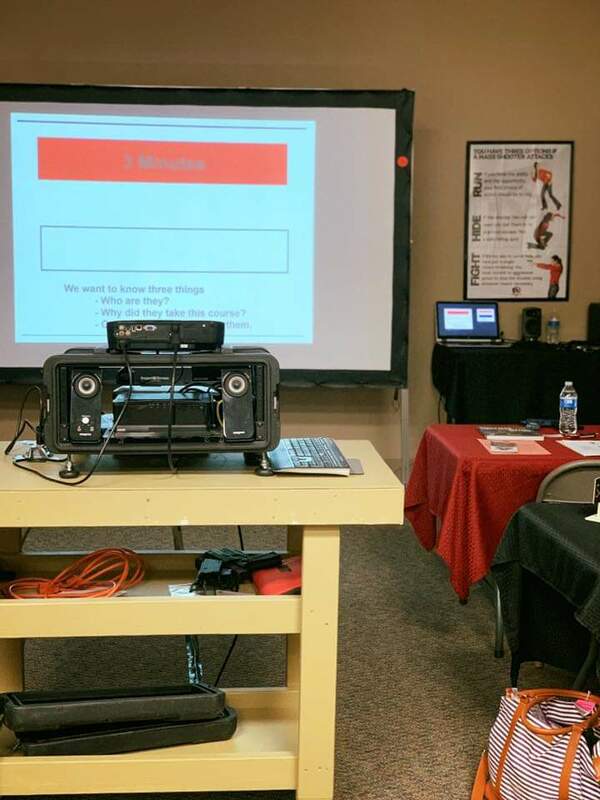 Participants have the ability to watch and critique their own actions while reviewing video footage and are encouraged to actively partake and engage in the learning process by asking questions. When is it universally justifiable to use deadly force? You are universally justified in the necessary use of deadly force when there is a reasonable fear of immediate or otherwise unavoidable danger of death or serious bodily injury to the innocent. All of these factors must be present. The language and interpretation can vary substantially between countries and states, and in states with no preemption law it can vary between various local jurisdictions within a state. The law-abiding citizen should make every possible effort to avoid using deadly force. Prevention, avoidance, de-escalation, and retreat are all good alternatives, allowing you a much better opportunity to maintain your freedom and return home safely to your family.